see my blogposts about Rajasthan (itinerary and stay & dine in style) – and therefore included two nights here. We did the same regarding Mumbai at the end of our trip. We had stayed here when traveling India for the first time more than two decades ago. At the time, we could only get a glimpse of this city and wanted to see more of it this time. A blogpost about my experiences in this other mega metropolis will follow later on. – being the historic one – lies in the north. 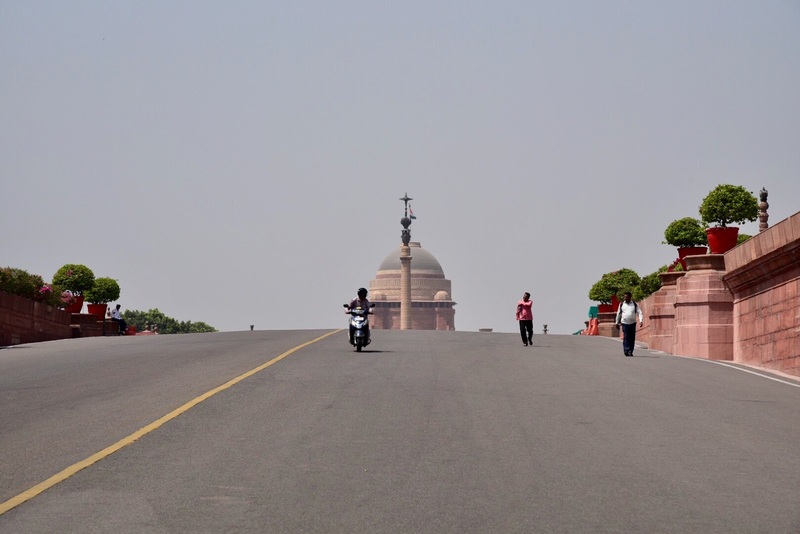 New Delhi – located further south – was established as capital of British India in the 20thcentury. 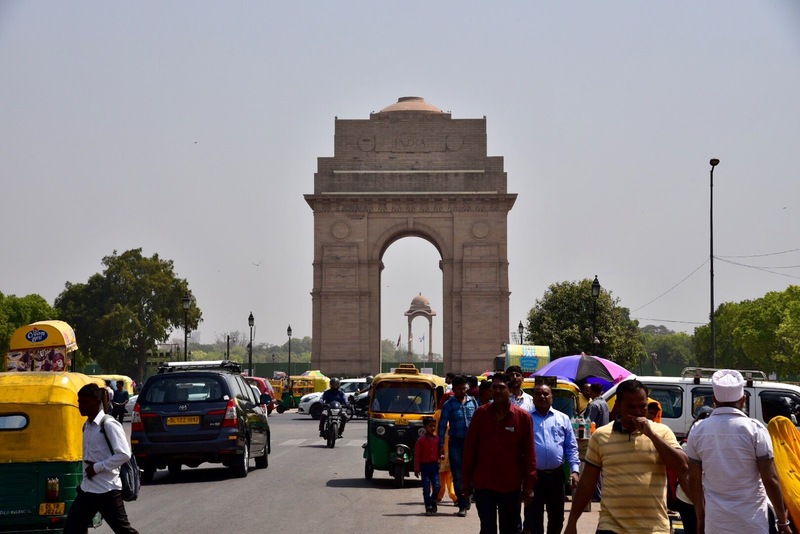 While time seems to have stood still in Old Delhi, dating to the 1600s, New Delhi is its modern counterpart with colonial-era parliament buildings as well as a business and commercial center around Connaught Place. Although being one of the world’s most polluted cities, it boasts with many sights well worth visiting. 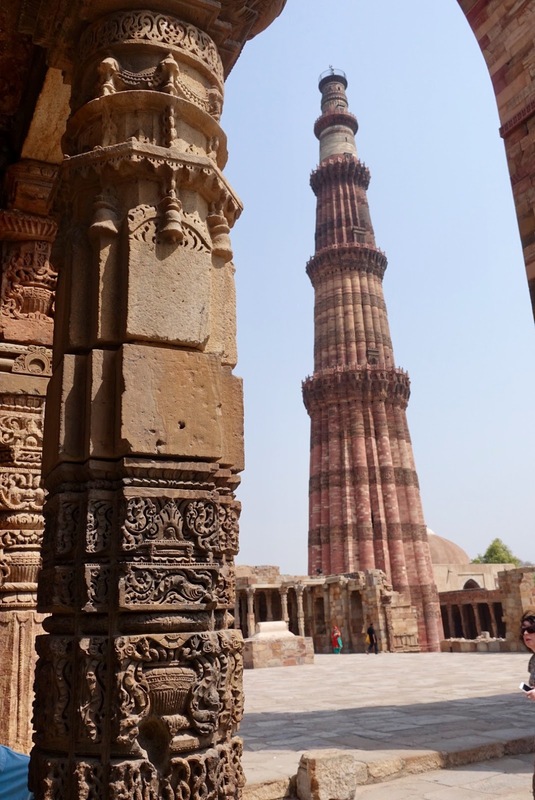 As we had only one full day to view this city and as we were not especially keen on exploring it on our own – after all we were in India and not in a western city – we opted for a private tour by car. We started it at the Red Fort, the main residence of the Mughal emperors for over 200 years, which was impressive as to its dimension. was our next destination. 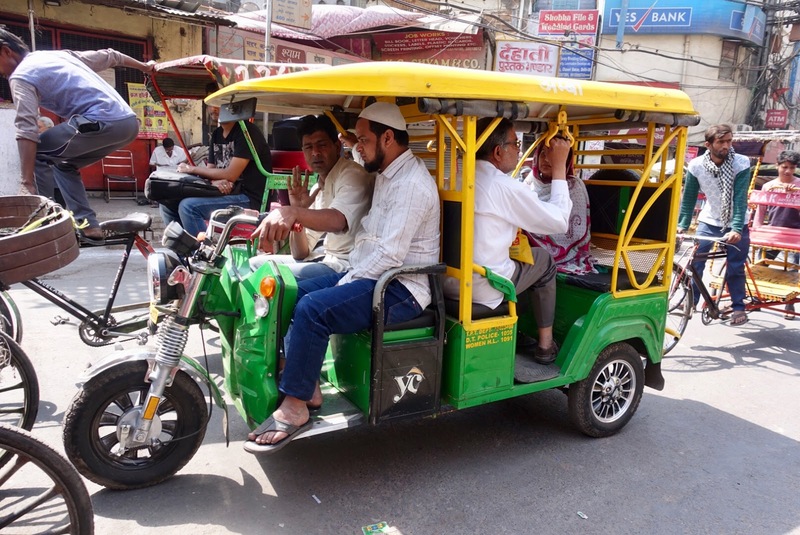 The best way to move here is by rickshaw in order to get through the hustle and bustle of this shopping strip. Have also a look at Jama Masjid, one of the largest mosques in India. bordered with gardens, trees and canals. 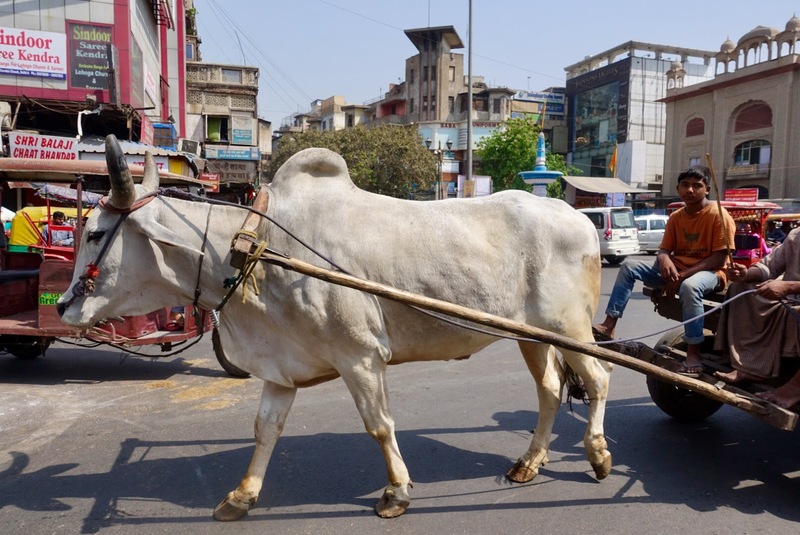 In contrast to Old Delhi, this part of the city is nearly devoid of people and cars in some places. A short stop at the Presidential Palace (Rashtrapati Bhavan), built in British colonial style, is recommended although when my husband and I were here, we could not see a lot as large parts of the grounds were not open to the public. 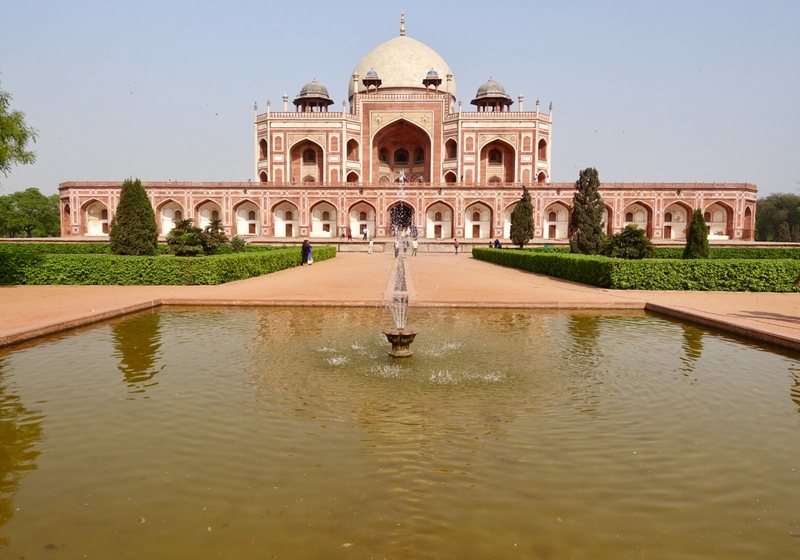 The highlight of our Delhi tour came at the end, the Humayun’s Tomb. This was the first garden-tomb in India and served as model for the famous Taj Mahal. 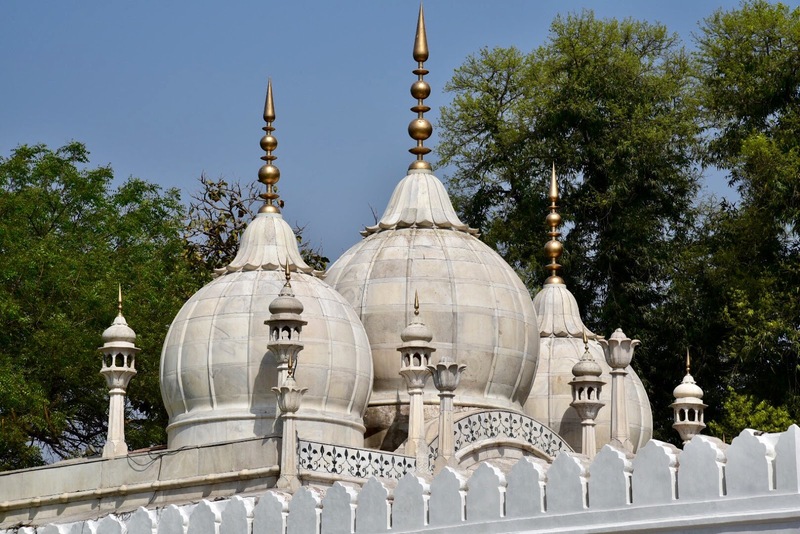 The splendid tomb of a Mughal emperor, surrounded by gardens and gates, is kept in the typical Mughal style, an Indo-Islamic architecture. In case you have another time slot, visit the Lodhi Gardens. We were told that this oasis of calm is worth visiting. Unfortunately, we did not have time to do it. This is a historical park with a number of monuments scattered among lawns, ponds and flowerbeds. 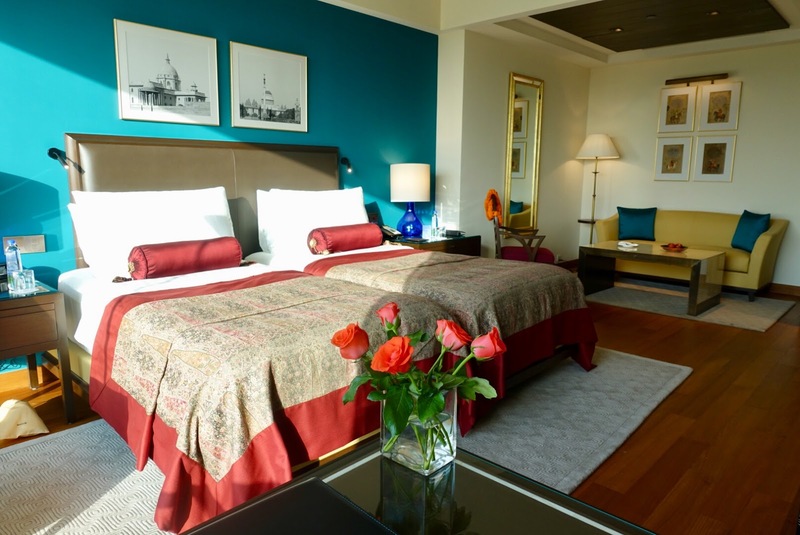 For our stays in the mega metropolises of Delhi and Mumbai (a blogpost will be published soon) we decided to choose not “only” some exchangeable luxury hotels but two of India’s oldest grand hotels, The Oberoi in Delhi and the Taj Mahal Palace in Mumbai. 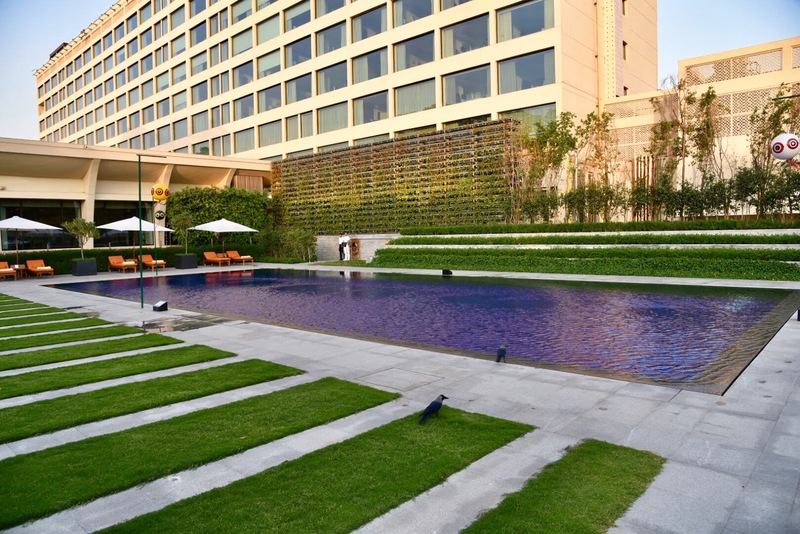 The Oberoi, set in the city center, reopened at the beginning of 2018 after a 21-month long refurbishment costing about 100 million Dollars. 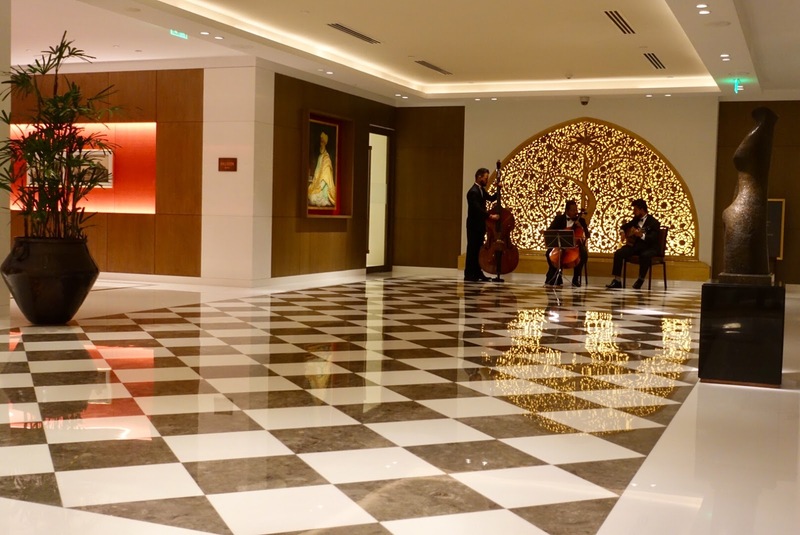 When it was initially opened in 1965, it was said to be the fanciest hotel in India. It was the place to be and until today the locals have great attachment to it. It goes without saying that the hotel’s renovation was a demanding one as too many drastic changes would have not been taken kindly. 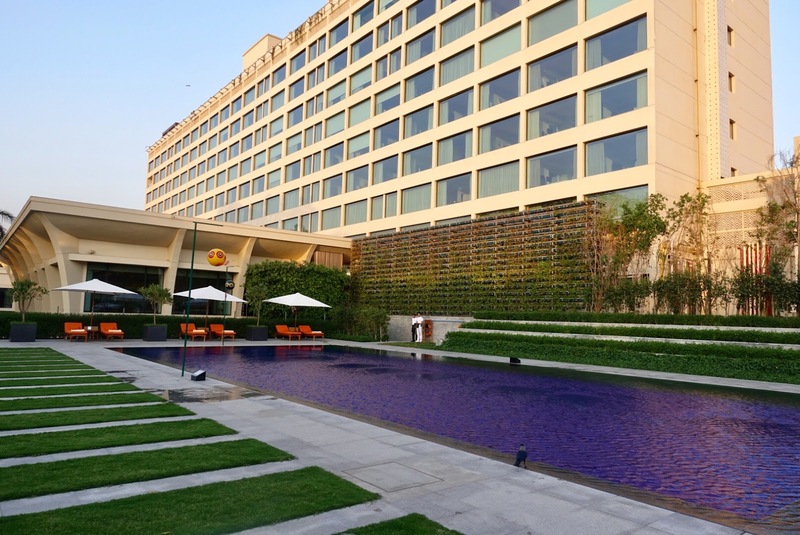 It was aimed at bringing the Oberoi into the 21stcentury without losing its roots. 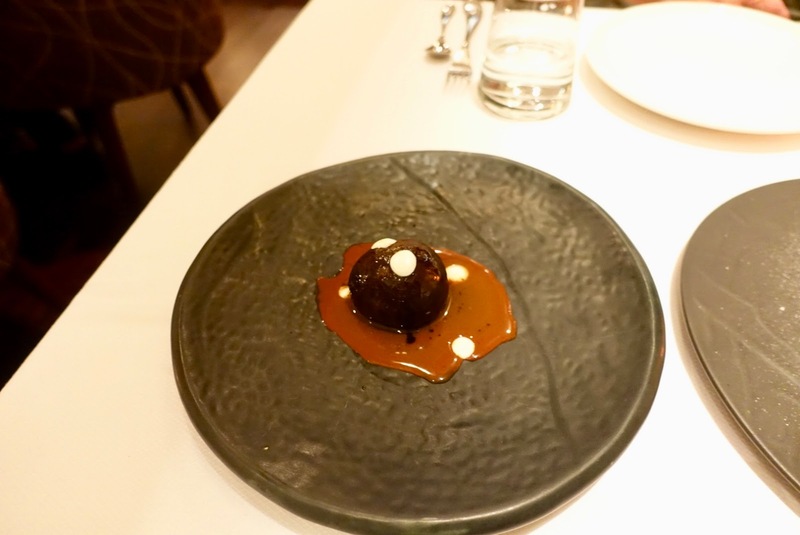 And I would say – from what I read about it – they succeeded, although I did not know the “old” Oberoi. In my view, it is a successful mix of old and new, the best features are enhanced, the less favorable ones seem to be gone. 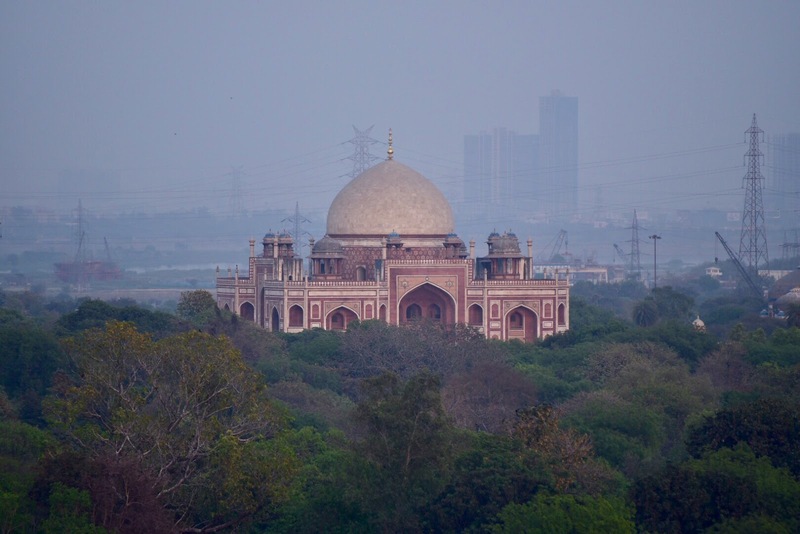 It has fewer rooms now (220 total) and each one boasts incredible views (golf course or Humayun’s Tomb). 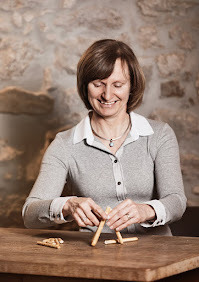 My husband and I had the chance to decide onsite which view we prefer – we were shown to two rooms – and went for the one overlooking the golf course as the other view is a bit affected by a busy road. We immediately fell in love with our Premier Plus Room, which was very spacious (51 sqm), featured large picture windows allowing much natural light and was beautifully decorated using an array of bright colors. 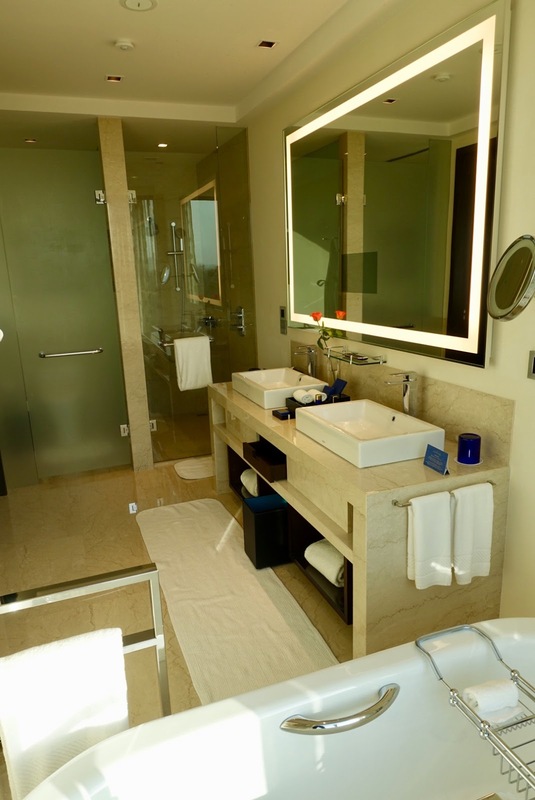 The bathroom was large, modern, furnished with Italian marble and had a bathtub with a view of the lush green surroundings of the hotel. Unfortunately, we did not have the time to make use of the hotel’s impressive wellness facilities, we only took a stroll through the gardens and had a look at the gorgeous exterior pool (there is also an interior one). 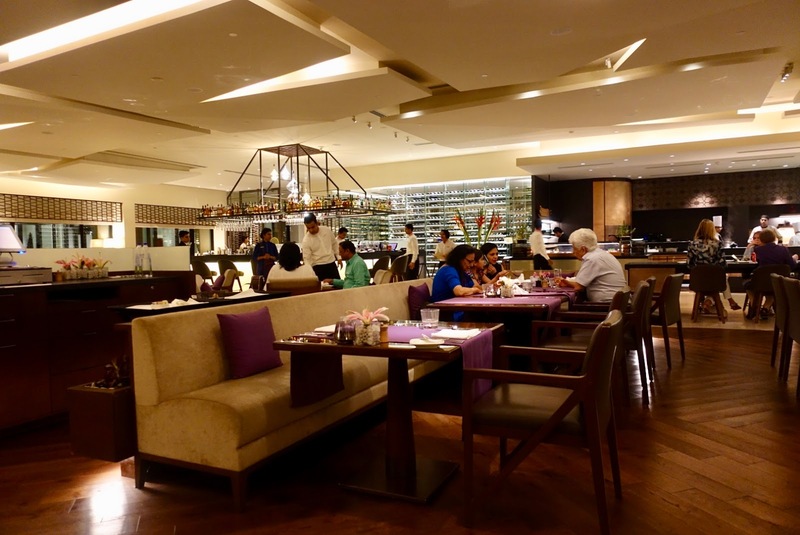 As to dining, there are three restaurants, the main restaurant (threesixty°), an upscale Indian dining-spot (Omya) and a high-end Chinese restaurant (Baoshuan). We only tried out the iconic threesixty° that has been a Delhi’s favorite dining-spot for years, which was completely redesigned. It is a contemporarily styled place with lots of charm and natural light. International food is served at this restaurant and we enjoyed two delicious breakfasts and a fabulous Indian dinner here. We also went twice to the new open-air rooftop bar, Cirrus9, where you have fantastic views of Delhi, meet a trendy crowd and enjoy creative cocktails. 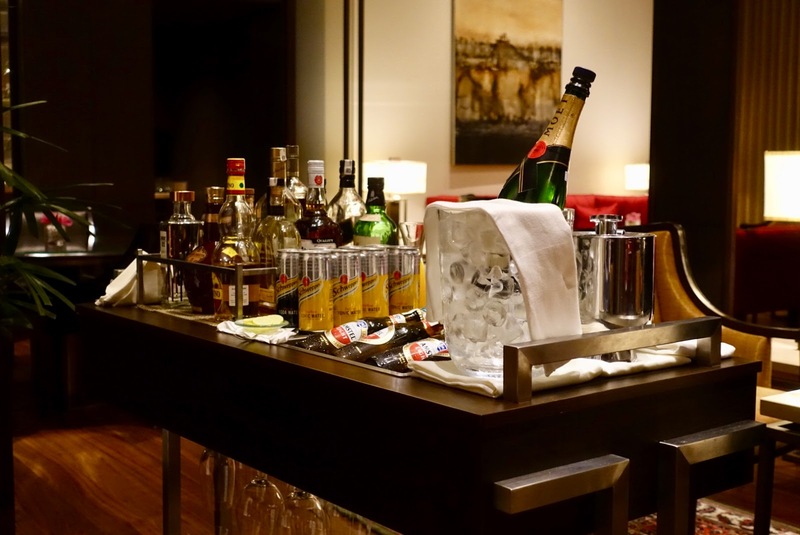 We were sad to leave, having enjoyed our stay here immensely, and this not only because of the immaculate facilities but also owing to the heartfelt attitude of the staff. 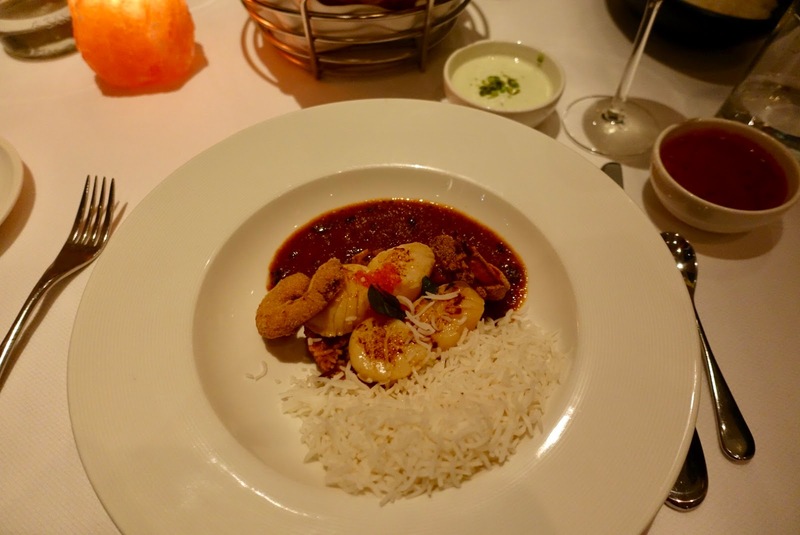 As I have just mentioned, we had dinner once at the Oberoi in the restaurant threesixty° where we encountered exceptional food in a pleasant ambiance. 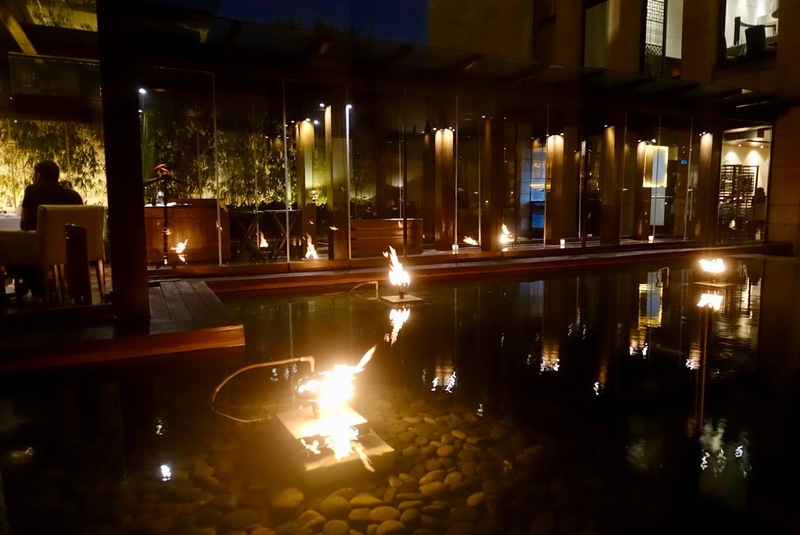 On our second day, we headed to the nearby Hotel The Lodhi to have dinner at the Restaurant Indian Accent, being awarded the San Pellegrino Best Restaurant in India on Asia’s 50 Best List (No. 19 in Asia and No. 78 in the world). 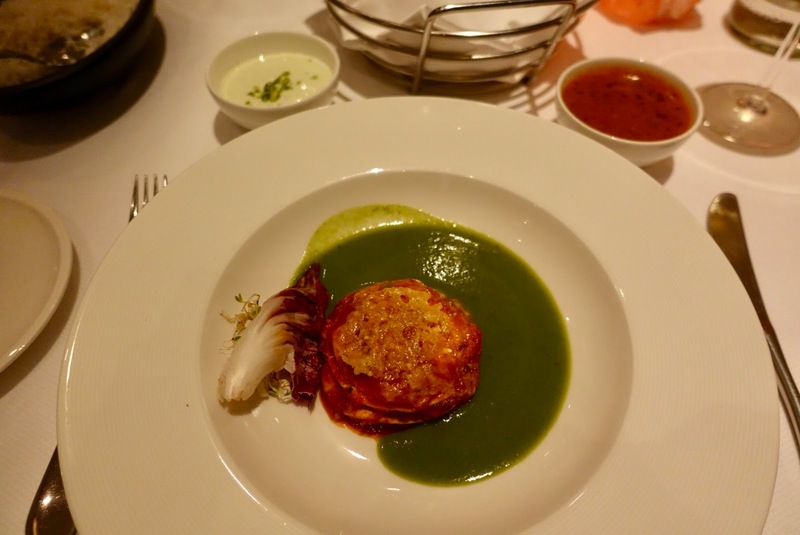 Here an inventive approach to Indian cuisine is on offer. 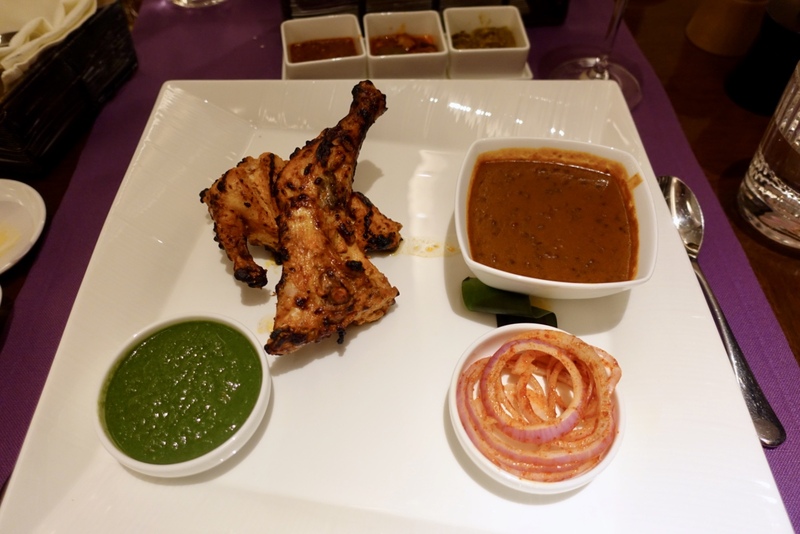 Chef Manish Mehrotra has helped to put modern Indian food on the gastronomic map by reinterpreting old Indian recipes. and you get surprisingly good value for money here, at least for western standards. 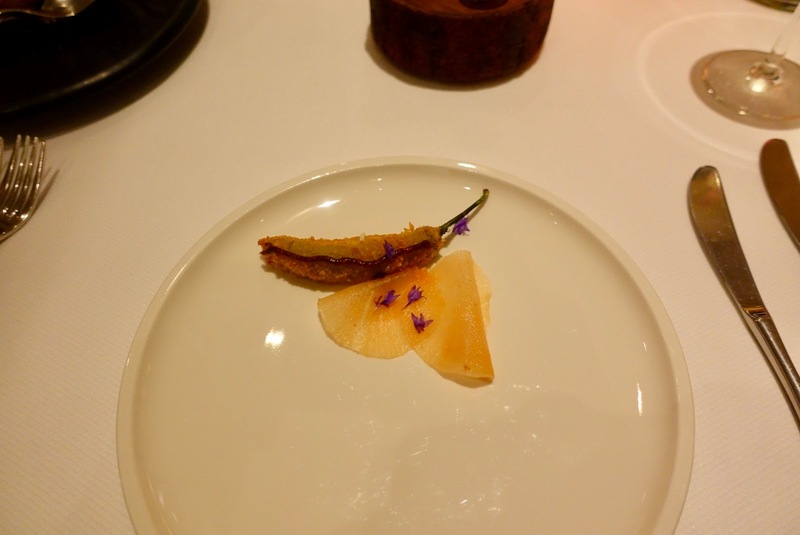 My husband and I had each three courses from the a la carte menu, accompanied by a bottle of wine, for less than 200 $! Everything we sampled was of exceptional quality and big on flavor. 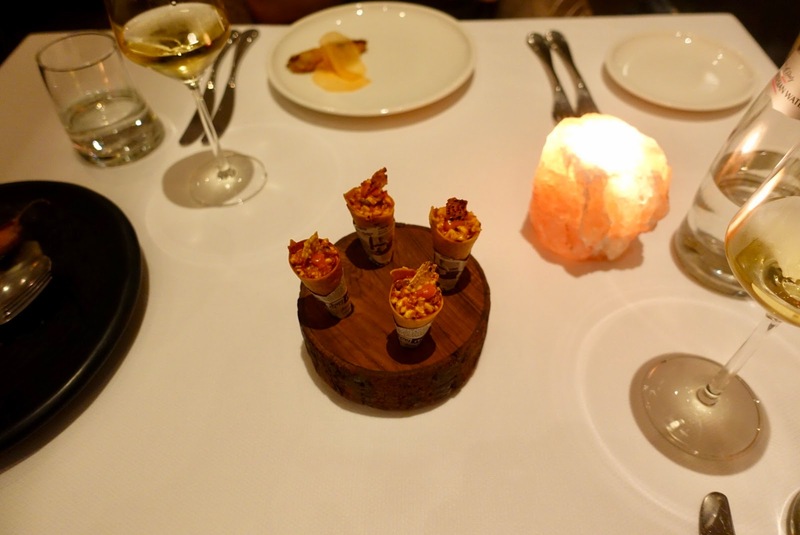 We were very impressed by the inventive take on Indian food and thoroughly loved our experience at this culinary hotspot! as well as Pepper Paneer Cornets and Smoked Papad. together with Basmati Rice and Traditional Indian Breads (Roti, Naan and Parantha). 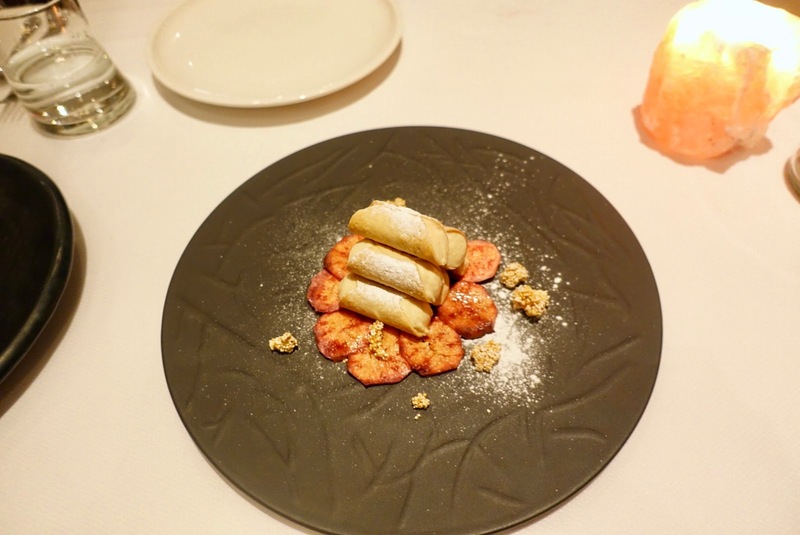 the other one Mishti Doi Canolli (pastry tubes filled with fermented sweet curd) and Popped Amaranth. Deli proved to be the ideal starting point for our Rajasthan trip (itinerary and hotels/restaurants), a place with a mix of Indian and Western influences so we had time to immerse in the culture so far away from the one we are used to. 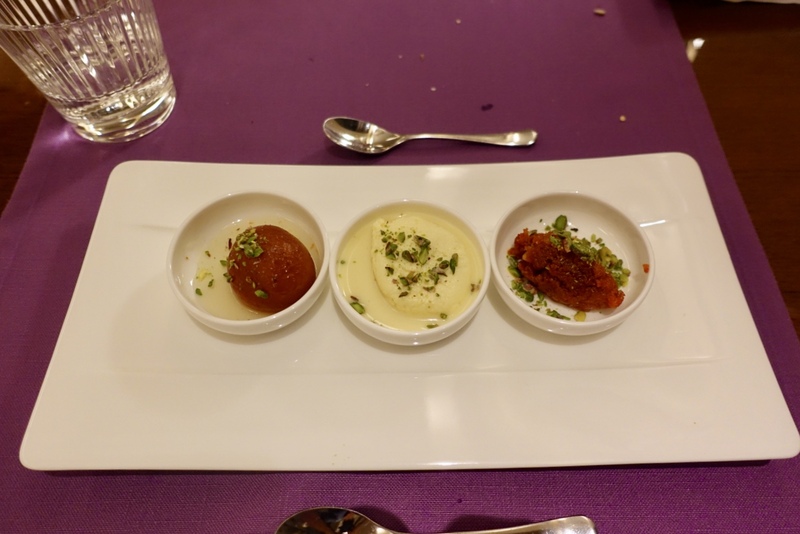 After our tour through “Mughal land” we let our Indian experience end in Mumbai, the topic of my next blogpost where I will go once again into what to do as well as where to stay and dine when appreciating the finer things in life.